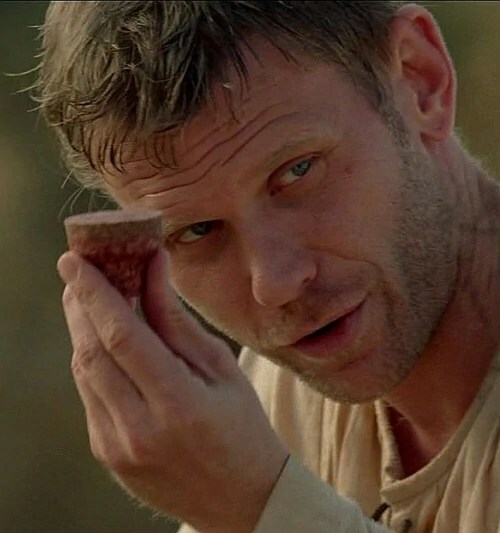 quercus suber | Thoughts On "S"
In the sixth and final season of LOST, as millions of us watched in the hopes that the mystery of the island would be revealed, a very simple explanation arose from the island’s leader, Jacob. The island is a cork. It is a cork on a particular wine bottle, and this particular wine represents evil. The island’s purpose is to prevent evil from spreading by blocking its escape route. 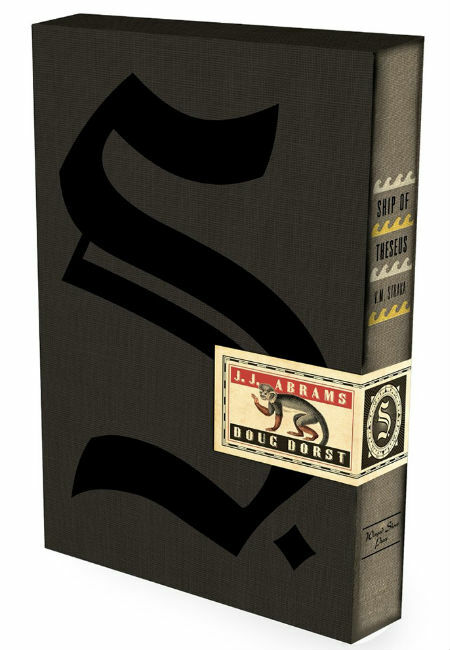 It seems J.J. Abrams is not done with the cork as a symbol for overcoming evil. Signe Rabe was born in Perpignan, France (see p361 marginalia). The economy of Perpignan is dependent on the cork tree. S.’s ship, in the Book of “S” on the Obsidian Island, has the word Sobreiro visible in the hull (see p292). Corks are buoyant, like the ship – they float on water. Archimedes, the Greek inventor, was first to explain the principle of buoyancy in Archimedes’ Principle. Is this a reference to Arquimedes de Sobreiro? As S. and Corbeau leap from the mouth of the cave of the K– and plummet to the water below, S. has a memory of “corks flying on a New Year’s Eve. A room full of people, of faces and bodies and spirits. A fire in a hearth. A sense of himself as—well, as someone.” S. himself is a cork popping out of the cave’s exit. Sobreiro, and S., are corks – they are men who have come to prevent evil from escaping into the world. Different stories, same tradition (p404). Initially, though, S. fights evil with evil – a no-win proposition. It is only in the climax, as S. follows the monkey’s example, he simply removes the cork of Vevoda’s stored-up evil and returns it to the ground from which it came. The cork material of a Sobreiro (cork tree) is harvested from the bark without harming the tree itself. Every 9 years the cork bark replenishes itself completely and it is reharvested. The tree continues to live. The cork bark is the substance from which all corks are made – whether Arquimedes de Sobreiro or S.
They all come from the same tree of life. In Portugal, not far from Lisbon, is the largest and most famous Sobreiro of all. It is called The Whistler Tree. From this one tree, over 1,000,000 corks have come to life in its lifetime of over 200 years. It’s name comes from the innumerable birds that land and sing within the tree’s canopy. Our book “S.” is replete with birds and sailors who whistle. Our book climaxes with S. and Sola blowing whistles with “avian warbles and trills that allow them to communicate behind enemy lines” as they approach Vevoda in the wine cellar (p416). 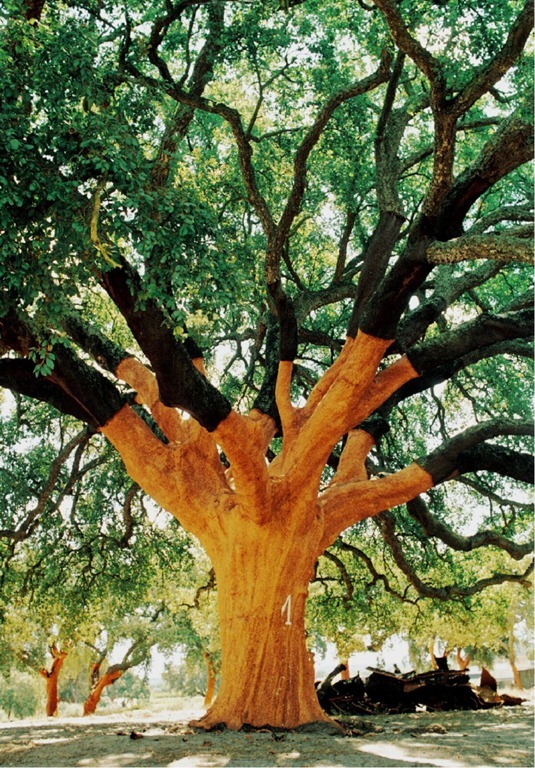 Sobreiro is the cork oak tree – the tree of life that contains and offers the substance from which all corks are made. The cork, whether in LOST or “S.”, represents those dedicated to containing evil without becoming evil itself. Some parts of the armature, however, are harder to see until our eyes become accustomed so well to the book and its complex story that we begin to see them emerge slowly from the text. This post is about one of these. The Chapter 10 cipher has been solved (mostly). What is perplexing is the sixth column of letters don’t make sense. There is a column of letters that do make sense (LONOE), but we have no apparent way of knowing what specific geographical coordinates should be dialed in on the EOTVOS wheel that make sense. Sobreiro means cork oak (quercus suber) – the kind of cork that floats on water and that is used to seal wine bottles. The Portuguese word for this tree is Sobreiro. Signe Rabe was born in Perpignan, France (see page 361). The economy there depends on the cork oak tree, which grows there. More on this. Caldeira comes from the latin caldaria, meaning a warm bath or a cooking pot. Also used to describe an active volcanic crater. One of Jen’s favorite words in “S” is palimpsest (p. 379). One of the world’s most famous palimpsests is Archimedes’ Palimpsest. These elements of “S” seem to me to be puzzle pieces that form a recognizable object, or element of the armature: Archimedes’ Principle. Archimedes’ Principle covers water displacement and, more interesting, buoyancy. It was seeing this subtle focus on Archimedes’ Principle that led me to my own moment of Eureka! Eric shouted “I FOUND HER!” to Jen when he discovered Caldeira (“warm bath”) in Maraú, Brazil. The geographical coordinates of Maraú are 14°06′10″S 39°00′54″W. These coordinates give us the missing column of letters for the Chapter 10 cipher: LONOE. It appears to me that FXC deliberately left one column of letters in the cipher a mystery in order to quietly announce her eventual whereabouts to VMS in case he was still actually alive and could come and find her. I sense there is much, much more to the armature of Archimedes’ Principle to help us understand Sobreiro and The Archer’s Tales. I am interested in hearing your thoughts and findings as you read deeper into “S”.